I can still vividly remember a conversation I had about a year ago with the Mitchell family as they told me about one of the newest advances in the medical world. It’s not a pill or a cure, but it is lifesaving. 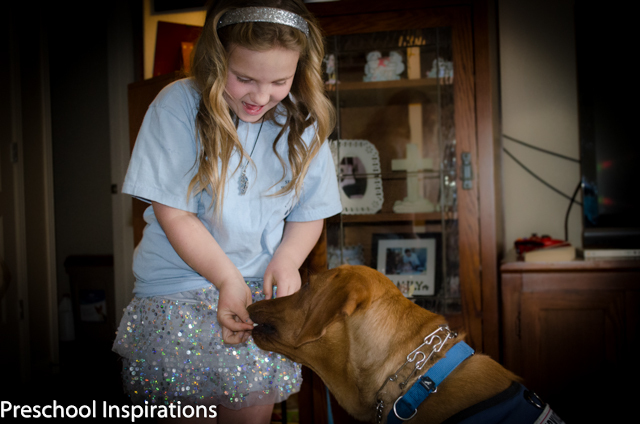 I sat in awe as they explained to me about a dog that could help their daughter’s diabetes. My mind was completely blown! I had heard of seeing eye dogs, but I had never heard of a dog that could smell a person’s blood sugar. Immediately all of my close friends and family members with diabetes came to mind. 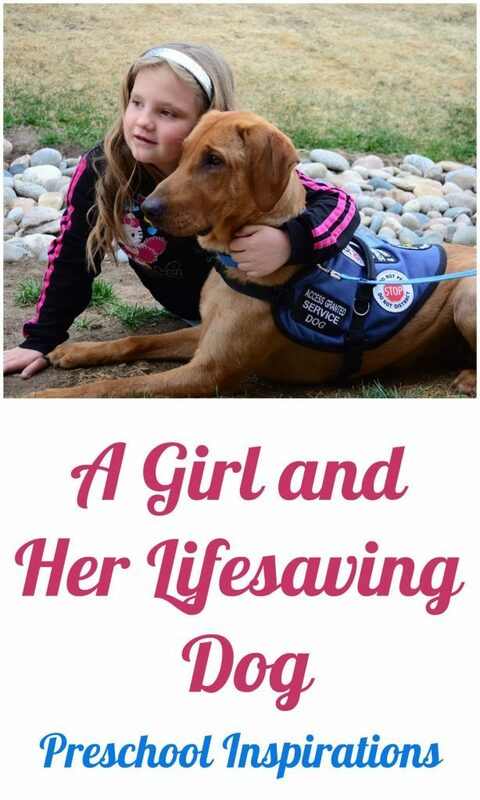 I know so many people who struggle through this condition, and now I am so thrilled to share about this peace of mind that these specially trained dogs are bringing to many families. A diabetes diagnosis is life changing, and it is especially hard for families with children. If a child has diabetes, it involves serious changes for the entire family. This has certainly been true for the Mitchell family, and their daughter named Dylan, who is now seven-years-old. Dylan was diagnosed with diabetes at the age of four, and it is truly a miracle that she is alive, and more amazingly, that she did not suffer any brain damage. The Mitchell’s sweet, smart four year old suddenly began to act differently. She was wetting the bed, constantly thirsty, and even losing weight. Fast forward a few days later, and Dylan is being flown to ICU in a fight for her life, in which she spent a week in the hospital. Dylan was diagnosed with diabetes, and it has been a battle to maintain since her diagnosis. I’ve quickly learned that parents with children of diabetes live as on call nurses 24/7. Dylan’s mother has been waking up several times every night to make sure that Dylan does not become unconscious while sleeping and to check her blood sugars. Every meal is carefully calculated, and each gram of sugar and carbohydrate is taken into consideration. Foods such as watermelon, jelly, candy, sugar, sugary drinks, and white bread are almost non existent to Dylan. The Mitchell family very rarely even goes out to eat as it is too high of a risk if the wrong ingredient is in her food. At the beginning of this year, life took a turn for the better. This sweet and deserving family welcomed their Diabetes Alert Dog named Blessing, and now Dylan’s parents are starting to feel some relief. 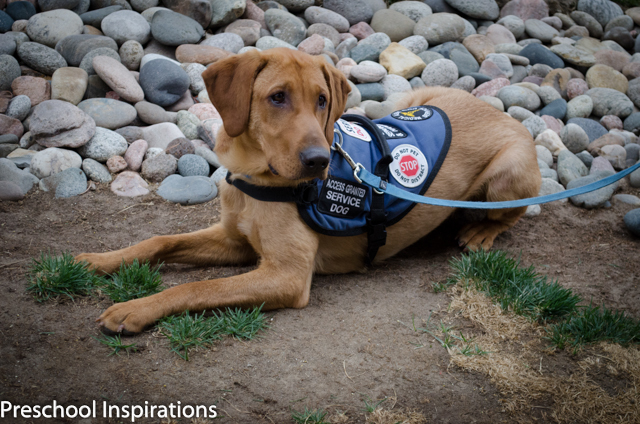 Diabetes Alert Dogs are trained to incredible lengths. When fully trained they are able to do the following: detect when blood sugars are out of range, bring over the glucose monitor for a sugar check, bring a juice box when there is a low reading, help find a diabetic who has gone lost, and even dial 911 on a special device if the person is unconscious or if the dog is given a command to do so. Blessing came to the Mitchell family fully trained on detecting the out of range blood sugars, and the family works with him each day to help complete his full training. He is already incredibly proficient at his most important job of identifying when Dylan’s not within her healthy range. While Dylan was in school, which is about a mile from where the Mitchell’s live, Blessing gave the signal which indicated Dylan’s blood sugar was not in range to Dylan’s mother. This has happened on a number of occasions, and after calling the school and having them check Dylan, they found out that he was spot on every time. Blessing has also been able to notify them about 20 minutes before she is about to experience a spike or a drastic drop. The Mitchell family has recently decided to homeschool Dylan, and Blessing couldn’t be happier to have his girl with him all day long to keep watch over her. To find out more information on Type 1 Diabetes also known as Juvenile Diabetes, you can visit JDRF.